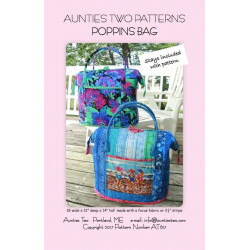 What a great little pattern from Seams Like A Dream!A fun little zippered bag with a braid section f..
12" wide x 9-1/2" tall x 2-1/2" deep. 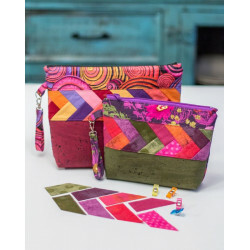 This every popular cross body bag design features lo.. Finished size is 26"x 74".. 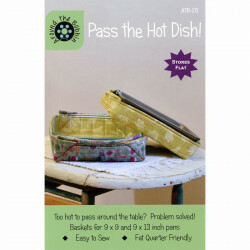 Pass a casserole around the table in this stylish basket. 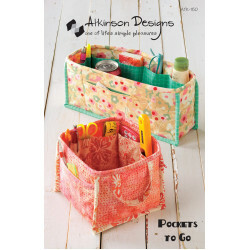 Fold basket flat for easy storage. 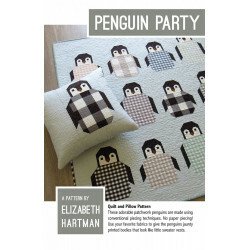 Baskets..
PENGUIN PARTYBY ELIZABETH HARTMANPatchwork penguin quilt pattern featuring 60in x 66in lap quilt, 50.. 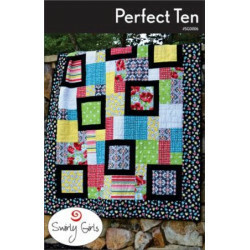 Perfect Ten Quilt Pattern by Swirly GirlsFinished size 60" x 72"Requirements:10 Fat Quarters3/4 yd f..
"Phoebe" is the woman’s version of our girls’ apron “Posy”. 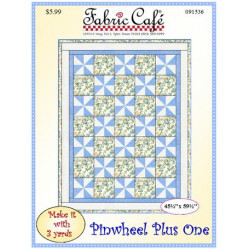 Together, they make a great mother-daugh..
Pinwheel Plus One 3 Yard Quilt PatternWith this economically-priced pattern, you simply take 3, one-..
Use this handy organizer next to your sewing machine, on your desk, or in the bathroom to keep every..
Poppins Bag Pattern with 2 metal stays included - Pattern by Aunties Two - Zipper top tote, travel b..
﻿Fabric Cafe Porch Rails 3 Yard Quilt Pattern. A checkered pattern with center connecting rails. Use.. 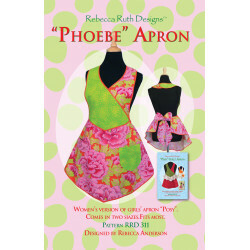 The girls' version of the "Phoebe" Apron (RRD 311), this pattern offers you two sizes, Small (girls'.. 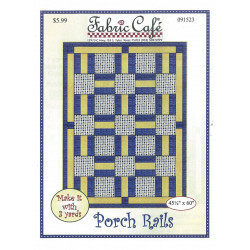 Fabric Cafe Pretty Please Pattern. 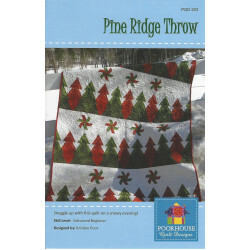 With this pattern, you simply take 3, one-yard cuts of fabr.. 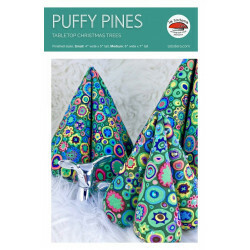 The Puffy Pines Tabletop Trees Pattern includes templates to make THREE SIZES of fabulous fabric tre..